“We do not stand tall, contrary to what Dr. Rowley has stated, we stand diminished in the region, we have lost our leadership of Caricom which we had. Jamaica now is lead­ing the way…. 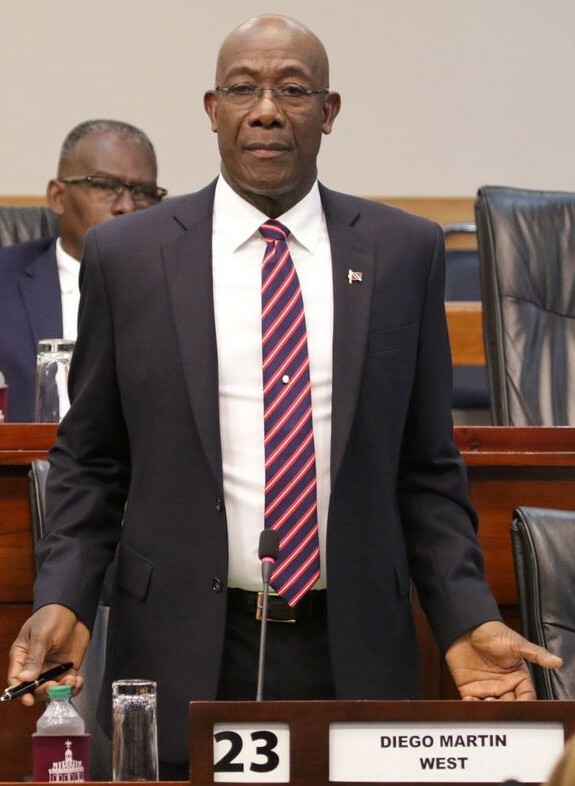 We’ve really abdicated the leader­ship in Caricom and we have obviously offended the United States, and while we have sovereign right to deal with our foreign relations we stand by the principles and so, we must also protect our relationships…. The Unit­ed States does not need to invest in our petrochemical industry anymore. They have the most gas, natural gas in the world…. They don’t need our gas, they don’t need our oil. They are a net exporter now of both oil and gas. We have lost our economic clout”. “Mark said his purpose was to express to the Ambassador the UNC’s shock at the sudden assault on the United States unleashed by Prime Minister Patrick Manning, in his September 5 address before energy industry executives and members of the diplomatic corps…. 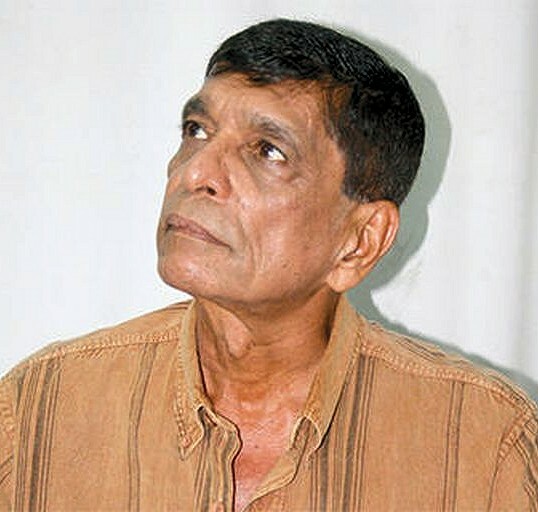 Mark wished to reassure the Ambassador that a UNC administration would re-establish with the US the same friendly and cooperative relations which has characterized the 1995-2001 period when then UNC Prime Minister Basdeo Panday and Secretary of State Warren Christopher signed an extradition treaty, a mutual legal assistance treaty and an agreement on maritime law enforcement. Mark went on to say that UNC concern with Manning’s undiplomatic outburst was heightened by the fact that Minister of Energy and Energy Industries Dr. Lenny Saith has reportedly signed a memorandum of understanding with Mexico according to which a portion of the liquefied natural gas currently exported by T&T to the US would be assigned to Mexico instead. Such an action could not help but have serious national security implications for T&T, given that T&T depends for much of its food imports on the US. The Ambassador listened to Mark and acknowledged that the Prime Minister’s September 5 criticism of the US had taken him by surprise, too. “Mark then launched into a litany of allegations and rumors whose veracity it is impossible to gauge. He said it was the UNC’s understanding that newly-appointed foreign minister Arnold Piggott… had, while serving as High Commissioner to Canada, met with elements associated with Al-Qaeda and Hezbollah. (Note: Post has no reason to believe that this is true and has not heard this rumor from any other source). He went on to say that three ships carrying rocket launchers as well as members of Hezbollah, which had left Syria in August en route to Argentina, were diverted to Venezuela’s Margarita island where a Hezbollah base was to be established with the aim of targeting the US. (Note: Post has heard this claim elsewhere, although embassy Caracas would be better placed to ascertain whether it is fact or fiction). Canada itself has no backyard, apart from its internal colonies—and there is no such thing as a “global backyard”. It is a semi-peripheral state which, like two centuries ago, still specializes in exporting raw materials. Lacking national leadership means that, in practice, there has been virtually no distinction of any substance that can be made between Donald Trump and Justin Trudeau, apart from superficial matters like style, tone, and virtue signalling (and sometimes not even then). Lacking an independent national government, and worse yet having one that thinks it’s American, means that it has been easy for Trump to effectively dictate terms to Canada and offload some of the costs of US foreign policy onto Canada, with no reward in return for Canada. Whether it is unrelenting trade tariffs, surrender/renegotiation of NAFTA to favour US interests even more, the transfer of asylum-seekers, or the consequences of dragging Canada into the geopolitical conflict between the US and China—Canada under Justin Trudeau has been haemorrhaging both political and economic capital to the US. One ironic and sad consequence is that this has only strengthened Canada’s Conservatives—with all of their supposed “agency,” Canadians vote for either Tweedledee or Tweedledum, generation after generation, and all of the parties are beginning to look and sound alike. With respect to Venezuela, that means more of the same. Corbyn said on Friday that he opposes “outside interference in Venezuela” and that Jeremy Hunt was wrong to call for more sanctions on the regime. He clearly does not agree with those governments now recognising Juan Guaido as the new and legitimate leader of the country. This is a hugely revealing moment, which tells us a great deal about the limits of any moral compass in Corbyn’s mind. But even more telling is the justification he (Corbyn) uses for his position – hostility to “outside interference”. This is the language of authoritarian rulers the world over, the constant refrain of those who fear a compassionate and responsible world coming to the aid of people they have impoverished and oppressed. He (Abdelhakim Belhaj) and his men were being trained for the siege of Tripoli for months, however. This is a prime example of the secret side of the war that NATO, France, the UK, U.S. and Qatar were fighting. Hilary Clinton’s emails also released by Wikileaks further question the motive for regime change in Libya following revelations that Gadhafi was intending to create a pan-African currency based on the Libyan gold Dinar. This is not Hague’s only attempt to shape public opinion with selective facts and rhetoric. He also deceived the British public and Parliament about the events in Ukraine in 2014. He claimed falsely that the removal of the elected President Yanukovych was in accordance with the constitution of Ukraine. Hague’s statement was designed to mask the US intervention, which led to the overthrow of the Yanukovych government, presented to Western audiences as a colour revolution. As well as joining in a needless aggression on Libya that led to a failed state, Hague was influential in easing the arms embargo in Syria so he could supply arms to the opposition. As it was recognised that the opposition included many Islamist extremists this ran the risk of weapons ending up in the hands of terrorists. He supported crippling sanctions that added to the misery of the population while at the same time he enabled lifting of some sanctions so that the ‘opposition’ could sell Syria’s oil to the EU. So Venezuela makes number four on Hague’s hit list of interventions that now spread across entire regions of the world: North Africa, the Middle East, Europe. The next stop: South America. Hague is likely to approve of the weapons used against Venezuela to gather imperialist muscle. One such weapon is the Lima Group. Informal gatherings of concerned nations are useful in that they present a picture of neighbourly humanitarian concern while carrying out acts of aggression on their target. The purpose of the Lima Group has always been to bring down the Venezuelan government. Its very existence undermines the non-intervention clause of the Organisation of American States Charter which each member individually signed. The Friends of Syria, attended by Hague while Foreign Secretary, had a similar purpose. Like the Lima Group its members were also US allies and stakeholders in intervention. These ‘friendly’ groups were set up to isolate and force the governments into submission regardless of the consequences on the civilian population. The Friends of Syria created the same list for the Syrian government and added the supply of arms to groups they knew included Islamist extremists. Another mechanism used by Hague in the past is the creation of puppet governments, especially useful when the US and EU arm non-state actors in violation of international law. Western audiences are expected to believe interim governments spontaneously and conveniently pop-up when NATO decides to invade a country, and these new interim governments are sympathetic to NATO and the US for some reason. Interim governments or councils in each country targeted for intervention have almost always included groups linked to extreme ideology. In Venezuela the self-proclaimed ‘interim President’ Juan Guaido is of the right-wing Popular Will party that has a history of violence and collusion with the US government, and Guaido’s own involvement has been uncovered.